I bought my wig and did my own makeup. The outfit is homemade. Glued this and that to my jacket and covered a pair of pajama pants with duck tape! 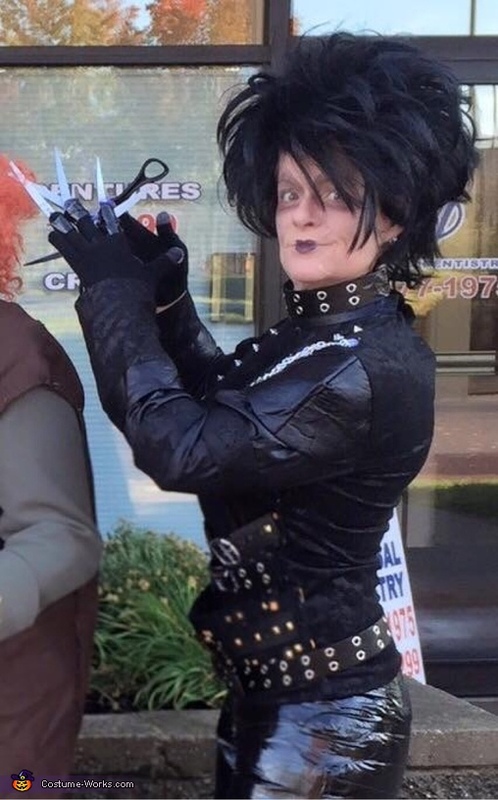 Edward Scissorhands hands are make of disassembled scissors taped to gloves!